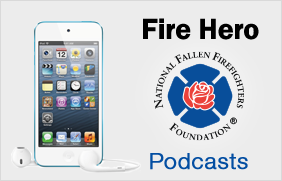 The National Fallen Firefighters Foundation presents the following podcasts in support of the Foundation's community risk reduction program, Be a Hero, Save a Hero®. Be a Hero, Save a Hero®; supports Firefighter Life Safety Initiative 14 "Public education must receive more resources and be championed as a critical fire and life safety program" and Firefighter Life Safety Initiative 15 "Advocacy must be strengthened for the enforcement of codes and the installation of home fire sprinklers". For more information, visit BeaHeroSaveaHero.org. DAVE STATTER:	This is the Fire Hero Learning Network and I’m Dave Statter with the National Fallen Firefighter’s Foundation. Welcome to our continuing discussion of Community Risk Reduction - CRR. In Part 1, we talked about how to convince our reluctant company officer, why it’s important, why community risk reduction is important to them, to their crew, to their safety to the public’s safety. Here today, we’re going to continue the discussion and talk about how to implement a program, what are the best practices, how to make that program work with your department. With me today, are Johnny Brewington, who is retired Battalion Chief with the Cleveland Division of Fire, John Sullivan, the Deputy Chief of Operations with the Worcester Fire Department in Worcester, Mass and Jim McCann, who’s the house engineer/firefighter/EMT with the Barren Hill Fire Company in Whitemarsh Township Pennsylvania, that’s in Montgomery County. Chief Brewington, tell me about the early stages of the Community Risk Reduction Program in Cleveland, how did it start? How did you get it underway? CHIEF BREWINGTON:	Well, initially, it started because one of the wealthiest individuals in our area was driving to work and he heard the news media talk about this tragic fire. So he picked up his phone and he called the Mayor and asked the Mayor, well what are we going to do about this situation and the Mayor said, what do you want to do? So he started donating some of his personal funds to a program that the Red Cross was starting up in conjunction with the fire department and then we progressed on. We were getting detectors and we were doing installations, but the problem was recurring and in the year 2005, we had this fire that has been labeled as the deadliest house fire in the city of Cleveland. We lost nine individuals in a two and a half story frame. Now, the owner of that home was a long time city employee, it was a slumber party and turned out to be it was an Assistant Chief’s nephew who was a firefighter and he had nieces and nephews, so that personal impact got greater. So that’s what started some individuals in operations to say that we had to look at this a different way. So that’s how we started a stronger approach for community risk reduction in the city of Cleveland. DAVE STATTER:	And it evolved from there? DAVE STATTER:	How about for you, Chief Sullivan. CHIEF SULLIVAN:	For us in Worcester, community risk reduction - I had never even heard that term before. It was fire prevention, that was it, and we didn’t really have a Public Education Division within the Fire Prevention Bureau, a formal one. We had been doing it like many fire departments do, when people ask for requests for fire trucks or to have a school visit or whatever, we had just done it at the operations level, but it was not coordinated by any sense of the word, like it is today. What we learned through the National Fire Academy, my Chief, Chief Dio, had gone to the National Fire Academy as an executive fire officer candidate and went through the curriculum for community risk reduction. When he came back from his class, he instituted a Public Education Division. He was inspired by what he saw there and what other folks were doing around the country. I soon followed him through the EFO Program and when I did my research paper for community risk reduction, we were looking at the target audiences and I happen to have been on the board at home of the Head Start Program for the city of Worcester for several years prior as a community representative. And it dawned on me that that Head Start Program had absolutely the demographic that we were looking for - kids under five years old, often times socioeconomically disadvantaged and a lot of immigrant population and people with not English as their first language. And so those were huge barriers. We had been making strides for many years and learned not to burn and just anecdotally in the schools with fire education, but we really hadn’t made the impact we wanted to. When I looked at that demographic, I went back to those folks at Head Start and said, what do you do to help these kids in terms of their education for fire education? And they were doing about an hour during Fire Prevention Week using an antiquated curriculum and I said, well, we want to improve that, we want to become a better partner with you and here’s our target audience and this is where we can really make some impact. We brought to them a newer curriculum, the Risk Watch Curriculum from NFPA, they were able to utilize a grant that they had to secure enough curriculum books and things to put out to their ten sites that they had. We were able then to transition that into the fact that Chief Dio had made the commitment to public education and we were lucky. Every good public education and Community Risk Reduction Program has a champion, it’s that firefighter who really takes it under their - or a fire officer who really takes it under their belt and says, I’m going to push this thing forward and we happened to get one, we happened to get a wonderful public educator and she has become a model for public education. She asked me one day, Chief, I want to get in, I want to get in, what can I do, what can I do to really make an impact? And I went back to that EFO paper and she was able to then get into every public school because for us the Head Start Program is run by our school department, it’s not that way in every community, but for us that’s the way it works. She got into every first grade, third grade, eighth grade and started to collect that data we’ve been talking about and what the actual impact is of those education programs using the tools that we know today for data collection and being able to make your case, we were able to then transition that into getting into the curriculum in those public schools and making an impact at home. That allowed us to expand our Public Education Division because everybody wanted us. You know, we were getting calls from city councilors to community activist programs and so on and so forth, everybody wanted the fire prevention - the Public Education Unit. We transitioned that into more money for our Public Education Unit and getting another firefighter assigned to public education, which in turn, expanded into the Operations Division and that’s how we’ve made it grow and that’s how we’ve made it impactful and it all started with EFO at the National Fire Academy and I never even knew what that word was. DAVE STATTER:	Firefighter McCann, from your fire service experience, when did you first deal with community risk reduction? How did you relate to it? How did it relate to your Department? FIREFIGHTER MCCANN:	Prior to becoming a career firefighter, I was involved with a volunteer company, which I still am involved with, and we went to a local hospital to ask for money and we were targeting a thermal imaging camera, which our fire company told us would be a three year budget item, and I said that’s a tool we really need to have a lot quicker than three years. So the president went to the local hospital and told them what we were looking for and they were going to front us $1,500 towards that - they asked if we could do something else with the money rather than spend it all just towards the camera, so we split it up. We used $750 to kick off our fund drive towards the camera and the other $750 to go towards purchasing smoke detectors and Philadelphia Fire Department had the Operation 6 Save a Life where they were receiving smoke detectors and installing them in homes. And we knew it was the right thing to do and we knew there were people in our community that didn’t have smoke detectors. So we took that money and purchased smoke detectors, which one of the manufacturers has reduced prices; you can get the bare bones price to purchase smoke detectors from them at cost to put them up, and that’s what we did, that’s how we started. DAVE STATTER:	Chief Sullivan, you talked about putting this over, or migrating this over to the Operations Division, where today it’s a big part of what you’re doing it sounds like, that it’s important for what you do. You also have issues of tough economic times and you need money for smoke alarms, you need money for some of the other things you’re doing - how do you handle that? CHIEF SULLIVAN:	You have to be creative, there’s no doubt about it. The Massachusetts Department of Fire Services works very close with our community impact programs to be able to find funding sources for those initiatives where you have to have the money from the outside to be able to keep them up. We have been very lucky in that partnership with our Department of Fire Services, State Fire Marshall’s Office, that they have a funding source through the legislation of fire insurance, there’s a pool of money there that they’ve tapped for the continuation of this smoke detector initiative, but for many of the other things it’s a matter of beg, borrow and steal and what happens is success breeds success. As your program grows and people see that it is impactful, they want to help, they want to put their name on the side of it and say, we were part of this and many, many of our community-based organizations have stepped up and through their ability to fundraise have been able to support our community risk reduction. We’ve been diligent about getting into the grant process and we have an excellent grant writer for the city who looks not only within the government grants, but UL grants and FM global grants and everybody that’s out there, apply for it, because there’s money to be had if you can show and you can really make your case that you’re having an impact in the community. And so it starts small and it can grow from there. DAVE STATTER:	Firefighter McCann, you talked in our last conversation about being in the schools a bit. How were you able to get in there? How did that happen? DAVE STATTER:	And the schools buy in? 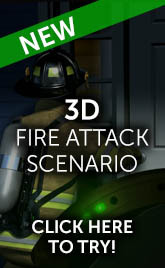 FIREFIGHTER MCCANN:	Oh, they call and they ask for it and I have to tell them, I said, we’ll work this out. DAVE STATTER:	So, is that the experience with you two other gentlemen in your departments in the schools? Are they very open to it? CHIEF SULLIVAN:	Eventually. Eventually. The schools are under a lot of pressure, they’re under a lot of pressure in their curriculum, standardized testings and so on and so forth, so if you can make your case and get yourself into the school, and again, tie it into something else, there’s a way to tie in fire prevention with other curriculum to make it relevant to the overall school mission, then you’re going to be able to make an impact. And once they see that what you’re doing has educational value that they can, in turn, utilize for their mission then they’ll do it, and our experience is the same. Once you start to develop that relationship, everybody wants it. DAVE STATTER:	Chief Brewington in Cleveland - are you in the schools? CHIEF BREWINGTON:	Yeah, we’re in the schools, but it’s still a challenge. Primarily career days you can get - because of standardized testing and the curriculum that they have to maintain, the number of hours that you can deviate from their program becomes a challenge. We have four trailers, three that are owned by the department and we got one through aluminum can collections and two from insurance agencies, plus Firefighters Association bought a trailer because we didn’t want to see that high death rate that we were once experiencing and the positive side of that is it took us over 100 years to get to single digits of fire fatalities. It was, I think, 1898 we were in single digits, it took us all the way to around 2010 to get back to single digits. And the reason I bring that up is to show you by getting out doing community risk reduction either through the schools or in the neighborhood, it does have an impact. DAVID STATTER:	This all relates to the vulnerable populations, your young people, your old people. How do you deal with it on the other side in the senior population, do you get into the homes and nursing homes and facilities and care facilities? CHIEF BREWINGTON:	Well, that’s where it’s critical for the partnering agencies. You see, you don’t have to develop that relationship because those agencies already have it, you come in with them. With seniors, seniors still want to hold onto their independence. When someone comes in, they’re afraid that somebody is trying to put them in a nursing home. We found out it’s best to come in with a partnering agency and the one thing about any high risk population, the reason they’re high risk is they can’t self-rescue. Even with the warning devices, self-rescue is a challenge so having some type of plan that will assist them is critical. DAVE STATTER:	In Massachusetts, targeting vulnerable populations important? CHIEF SULLIVAN:	Oh absolutely. And we’ve talked about the kids and the seniors are a huge vulnerable population and it’s growing. As the baby boomers get to be not babies anymore that population is growing. And two ways that we’ve been able to impact that, we have a lot of public housing, elderly housing, and we’ve been able to get into the community rooms and through education and impact programs, the fire safe - FireStop extinguisher systems, the stovetop extinguisher systems and the elements that turn themselves off, we were able to make a huge impact in a vulnerable population through the public housing partnership that we have, which in turn, again, through success, led into our private housing complexes for the elderly. The other way is through EMS, that’s the primary way we get into people’s houses, the independent folks who are still living at home, they’re the primary users of 911 services, we know that from our statistical analysis, that the data supports the fact that that population is the high end users of the EMS part of our industry. So that’s how we get into those houses and impact them. DAVE STATTER:	In Pennsylvania, you’re involved in the senior population also? FIREFIGHTER MCCANN:	A little bit. A lot of things run through the Fire Marshall’s Office in our township, however, things do get diverted to the local station whose facility may be in our district. For instance, the masonic home has a senior health fitness fair every year and, of course, the people in the masonic home itself are protected by sprinklers and smoke detectors, but they open that senior health fitness fair up to people in the community. So we go and, of course, we may be pushing smoke detectors, but once again you have these other agencies that you talk about - the Meals on Wheels, the people that come in, the elder care become the nursing staff and I think we need to work more with them that we don’t work as much with them as we could and they take our card and they find out that hey, the fire department’s here, they’ll come and put smoke detectors in, but that’s just starting to take place where they’ll go out and say hey, Mrs. So-and-So doesn’t have a working smoke detector, we need to get the local fire department out here and help them out. But they’re more aware of it, the healthcare providers in the homes of the elderly what they need and I think they could work better with us in the future. DAVE STATTER:	Getting the fire department out there, I gather the politicians like that when you’re out in the community, in their neighborhoods, where they represent - are they just as receptive in these economic times with giving you the money that you need? What’s the experience been? CHIEF BREWINGTON:	All politics is local and when you make it local for their district, then with their blog grant funding and whatever, they may be more receptive to sharing some of that funding for you and one of the things we did in Cleveland, we created a short questionnaire survey and in that we captured whose ward it was, what congressional district it was. So when you’re having that conversation with that politician, you can talk about stats in their area. So that was impactful. DAVE STATTER:	You talked about statistics, you talked about data, how do you know your Community Risk Reduction Program is working? What type of monitoring of it do you do? CHIEF BREWINGTON:	Well, you have to monitor it over a period of time, a series of years to make that comparable to show you’re making a good impact and because, in my biased opinion, the fire service hasn’t captured that data and shared it globally you sometimes have to bring in somebody else to help you. CHIEF SULLIVAN:	Data analysis takes time, you need a term of years to be able to really see an impact of programs like community risk reduction. And it’s hard, it’s hard at the beginning to get those folks to stay onboard until you see it, but after a few years when you start to look at target audiences and the trends, you really see an impact and that’s when you get to stand on your laurels and do that marketing piece and stand up and say, this is the real impact that we’ve been having. Here are the numbers and that’s how that translates into good economic response from your municipal government. DAVE STATTER:	There’s going to be people listening to this, this podcast, they’re going to say, oh, this isn’t for me, I’m not about - but, the success stories, does that help at all? CHIEF SULLIVAN:	Absolutely. You can’t - you cannot deny success. You cannot deny that we’re able to maintain certain levels of manning and grant monies coming in and in some cases, overtime as a result of those monies coming in for these impact programs, you can’t deny that, and when they see that the successful organization is being supported, then they have no choice but to go along and get on the bandwagon because it is the trend, it’s going to be the trend, it is the trend in the fire service, prevention has reduced the number of fires that we’re going to and we have to expand our base of community support and we have to expand our base of what it is we’re doing and this is a natural piece of it. And firefighters generally like to be out with people. You know and I know, idle hands of the devil’s workshop in the fire service, let’s put these guys out there on the trucks, in the communities, we shouldn’t be hiding behind the doors like we were back in the late ‘80s and early ‘90s because of the budget cuts and say don’t show anything, don’t show anybody that we’re here because they’ll be upset. Truth of the matter is that this is a better educated community, if you’re out there and you’re doing something impactful, they’ll appreciate it. DAVE STATTER:	Where can I find resources if I’m a company officer or a Fire Chief that wants to start a Community Risk Reduction Program? CHIEF BREWINGTON:	Vision 20/20 has a website that you can download some streaming videos and it speaks to target audiences, if you want to talk to your political base or your community or you want to talk to your personnel at the company level on why this approach is valuable and important. DAVE STATTER:	We will have that link and many other resources for you on the podcast page that goes with this here - with the Fire Hero Learning Network. Any other ideas, Chief Sullivan? CHIEF SULLIVAN:	The National Fire Academy, a lot of their curriculum in the Fire Prevention Bureau is based around community risk reduction, networking that you get through those opportunities and meeting people around the country who are doing good work and sharing that work with other folks. That is one of the things about the fire service that I love so much is that if I have a program that is successful, take my name off of the top of that letterhead, you take it and you run with it in your community if it’s going to work for you. The State Fire Marshall’s Office in your state has a mandate that provides for support of community risk reduction in the form of fire prevention and education as well. So insurance companies, those people who are affected, you’ve got to look at your stakeholders and say, who is it that is directly impacted and an insurance company would rather give the fire department $5,000 for a grant for doing X program then spend $200,000 in an insurance claim. It just makes good sense actuarially, so you’ve got to be able to leverage those types of partnerships. FIREFIGHTER MCCANN:	Go to your local Kiwanis or community organizations that would want to put into this that would support you. A healthcare provider - we went to the hospital, a local hospital, and they helped us out. There’s people out there, you just have to go find them. DAVE STATTER:	As we start to wrap this up, what am I missing? What are we missing in the fire service? What are the thoughts in the areas that we haven’t discussed that are on your minds? Anything? CHIEF SULLIVAN:	There’s always needs in the community. Not that the fire service could be everything to everybody, but we’re already delivering a myriad of services, but we’re not tapping each one of those services in terms of community risk reduction. Just going out and getting in the schools or into the elderly high rises doesn’t necessarily address the immigrant population. We’ve got a huge immigrant population that is ever increasing and their history in a lot of these countries is not one of fire safety, and so we’re seeing an increase in fires that we generally have been able to mitigate among the standard population within the community because of 25-35 years of public education and fire safety that is having a resurgence in areas because culturally, we’re not getting to the folks who are moving into these communities. And through the partnerships like Head Start, which has automatically got to have translators in there, we’re able to take the information that we have and put it into a package that they can read and understand. DAVE STATTER:	We’ve been talking with Deputy Chief of Operations John Sullivan with the Worcester Fire Department in Worcester, Mass, Jim McCann, who’s the house engineer/firefighter/EMT with the Barren Hill Fire Company, they’re in Whitemarsh Township, Pennsylvania, Montgomery County, and Johnny Brewington, who’s a retired Battalion Chief in the Cleveland Division of Fire in Cleveland, Ohio. Gentlemen, thank you for being here we’ve been talking about community risk reduction. I want to remind you that on the podcast page, you will find resources that will help you with your Community Risk Reduction Program. I hope you found this interesting and I hope that you’ll be doing community risk reduction in your fire department and in your community. You’re listening to the Fire Hero Learning Network with the National Fallen Firefighters Foundation. I’m Dave Statter. Community Risk Reduction Part 1 - This episode highlights Community Risk Reduction (CRR) and how to convince our reluctant company officer, why it’s important, why community risk reduction is important to them, to their crew, to their safety to the public’s safety.